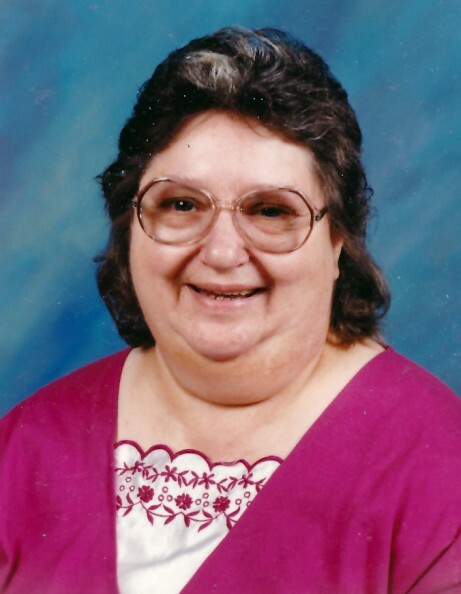 Obituary for The Reverend Ethel Mae (Wimer) Reamey | Obaugh Funeral Home, Inc. The Reverend Ethel Mae (Wimer) Reamey, 81, of Monterey, passed away Thursday, November 29, 2018 at August Nursing and Rehab Center in Fishersville. She was born August 8, 1937 in the Possum Trot area of Highland County, a daughter to the late Lydia Ann (Propst) and Johnnie Lee Wimer. A Godly woman and warrior for Christ, Ethel served as a minster for over 50 years. During that time she presided over churches in Chase City, South Boston, Clover and lastly at The Church of God in the Forks of the Water community. Ethel enjoyed crocheting, being in nature and watching her favorite show, NCIS. Above all, she will be remembered as a selfless person who truly cherished her family and friends. In addition to her parents, she was predeceased by her husband of 37 years, Roy Roger Reamey on September 2, 2006; and three brothers, Troy, Elbert and Dennis Wimer. She is survived by her daughter, Alice Turk and husband, Cory of Monterey; granddaughter, Cheyenne Huff and James Hutcheson Jr. of Monterey; brothers, Donald Wimer and wife, Elenore of Poquoson and Roger Wimer and wife, Rachel of Newburn, N.C.; a sister, Turetha Hiner of Nashville, Tenn.; numerous nieces and nephews; as well as her beloved dog, Rosie. A graveside service will be held 1 p.m., Monday, December 3, 2018 in Blue Grass Cemetery with Bishops Billy Cox and Buford Cox officiating. Pallbearers will be Cory Turk, James Hutcheson Jr., Ezra Halterman and friends in attendance. Family will receive friends at any time at the home of Mrs. Reamey. Memorial donations may be made to The Church of God (Forks of the Water), c/o Dorothy Halterman, 180 Sunrise Lane, Monterey, VA 24465 or the Highland SPCA, PO Box 6, Monterey, VA 24465.